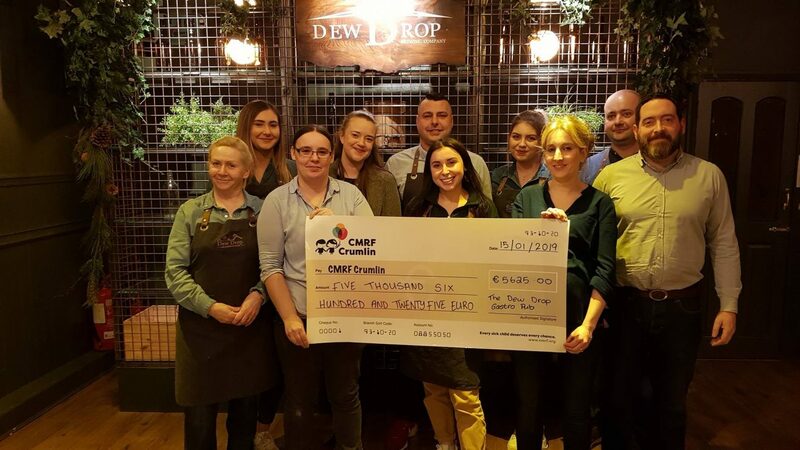 Last week Grainne from CMRF Crumlin called in to us to collect the money raised by The Dew Drop for the charity. If you remember we ran a quiz night, raffle and an auction for a signed Irish rugby jersey just before Christmas and it was a great success. We were completely overwhelmed, as were Crumlin Hospital with the amount of €5625 raised for such an amazing cause. We could not have done it without the help and generosity of YOU the local community and local businesses who were all so generous. A big thanks also to Sarah & Anne who organised everything from start to finish, along with all our team here.